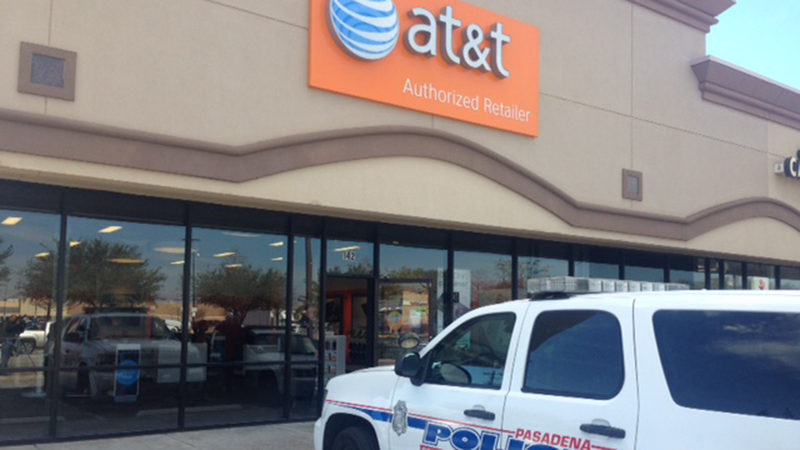 PASADENA, TX (KTRK) -- Pasadena police say a robbery suspect fired at their officers after a robbery at an AT&T store this morning. The store is located in the 100 block of W. Southmore. Police say the suspect fired at police during a short foot pursuit, but that he was taken into custody when police caught up to him. No one was injured in the robbery or the foot chase. We're working to get more information and will bring it to you as soon as we get it. Stay with Eyewitness News online and on our app for more details. We'll have more on this story on-air at 4pm.